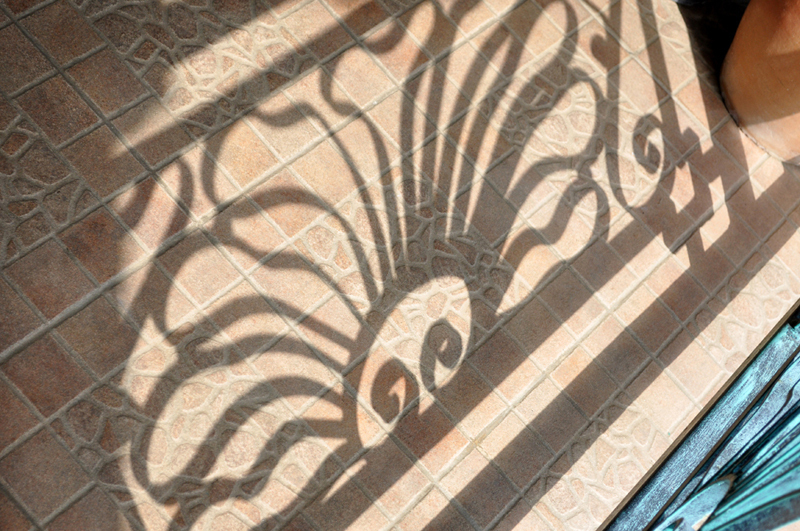 HADIYAH | Montego Bay, St. James Drawings in the shadow – We are most replenished in the natural environment. It is always our aim to link the outside with the inside. 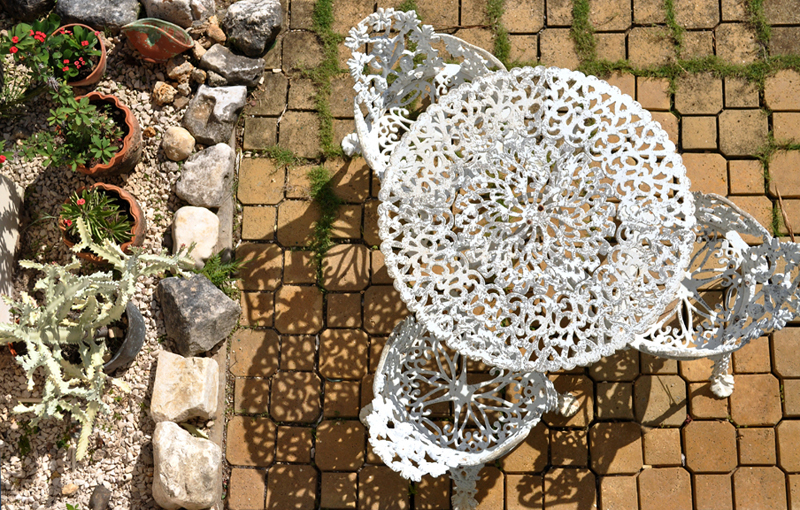 From the clay pots, to terracotta tiles, to the nature inspired rails, we link this verandah to the soil and gardens below and the mountain and shifting skies beyond. 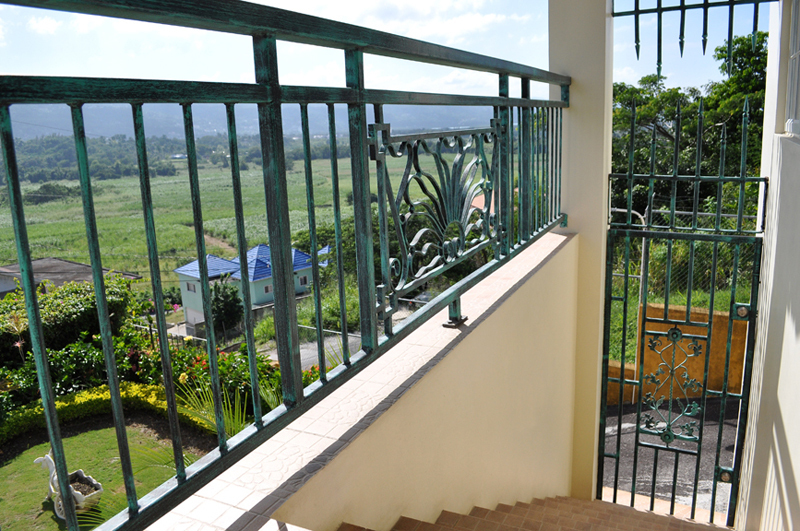 HADIYAH | Montego Bay, St. James Designed for security and personal safety functions, these bars and rails dissolve into the valley below. HADIYAH | Montego Bay, St. James We all recognized the need for security. The height of this security gate presented a challenge. 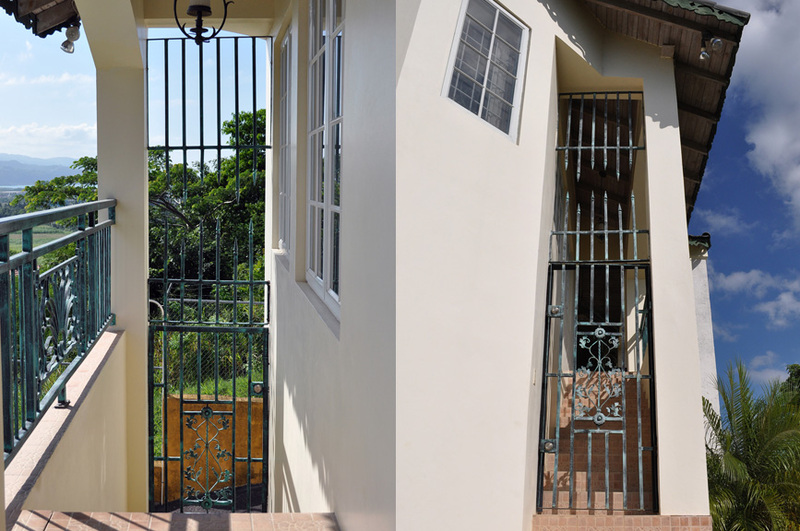 I sought to add a gate that would complement the homes architecture and stay clear of the look of prison bars. The intentional random break in the bars adds whimsy while the razor sharp spears challenges a would-be intruder to dare try. 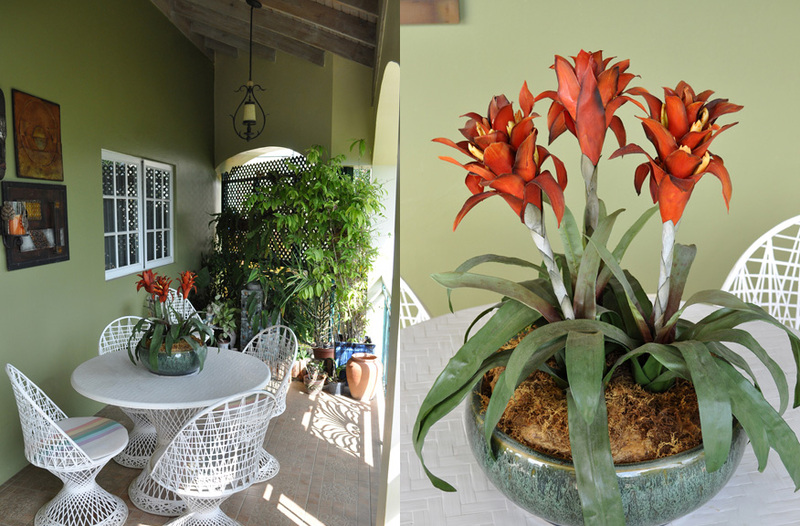 HADIYAH | Montego Bay, St. James Located on the front lawn, 12’-0” above the access road, this space brings back the rusty, organic environment in which the client grew up. It is also perfect for private sunset dinners. HADIYAH | Montego Bay, St. James The tranquil verandah garden with its relaxing water feature and screen while forging its link to the garden and valley below and the river flowing in the distance, was born out of a need for privacy from the adjoining property. 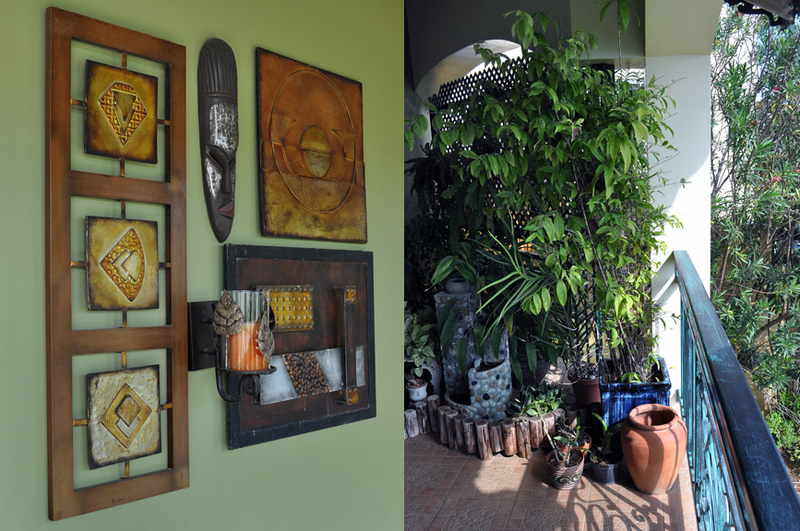 HADIYAH | Montego Bay, St. James We design to fit lifestyles. There is no formal dining room as the client prefers sunset wines and casual dinner outdoors. We therefore designed three casual dining options, depending on mood, weather and time of day.